We have officially entered pumpkin spice season everyone, and it is no secret that every industry, especially the food industry, is making all attempts to jump aboard the pumpkin spice craze. 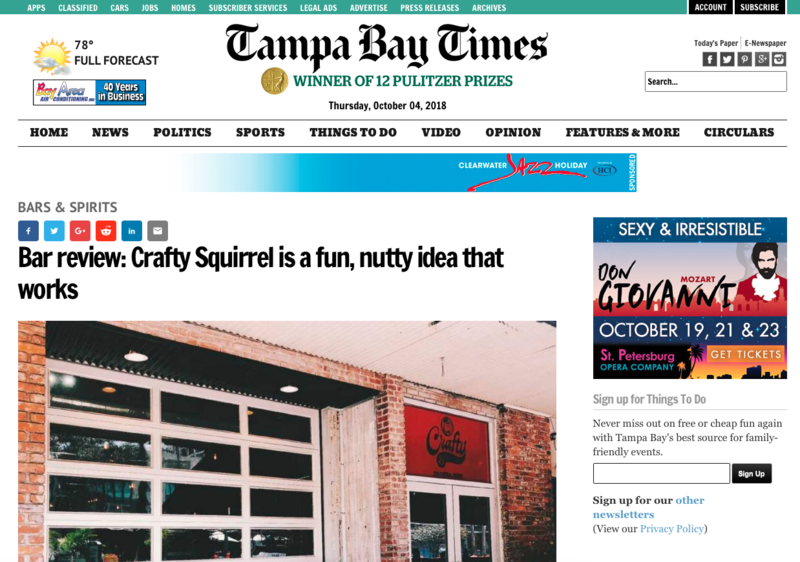 From Hummus spreads, to dog treats, crazy pumpkin spice flavored things are featured throughout the isles and menus of all of your favorite eateries. Some tasty, and some just plain gross, each of these pumpkin spice products will have you saying, “pumpkin spice, what?”. If you’re one of the people who is all about the pumpkin spice craze, you are in luck! Next time you are walking through your local grocery store, you’ll be pleased to find Nature’s Promise Pumpkin Spice Chicken Sausage. And not to worry, yes pumpkin spice flavoring is extremely loaded with sugar, but this sausage is organic! Wander a little further down the aisle and you’ll come across Pumpkin Spice Pringles, as well as Roloff Pumpkin Spice Salsa. On your way to checkout, make sure you grab a pack of Extra Pumpkin Spice flavored chewing gum, you will need it after those Pumpkin Spice Sausages. Had enough? Well we haven’t even gotten into beauty products yet! Orange tinted pumpkin spice highlighter and eyeshadow is a new must have fall shade. Velor even came out with their very own Pumpkin Spice Latte Lip Scrub. Bath and Body Works recently released their pumpkin spice product line, consisting of lotions and body sprays, including a hint of cinnamon scent, perfect to go with your StarBucks latte! Okay but it’s not all about you, it’s about the fur babies too! Fruitables Dog Treats haven’t missed out on the trend either, and they’ve created a Pumpkin spice flavored dog treat for your pup to enjoy this fall, right by your side. Many other dog treat brands have followed in their footsteps, and developed their own pumpkin spice line of fall themed treats. Finally, what might be the strangest addition to the pumpkin spice craze; pumpkin spice rubber. 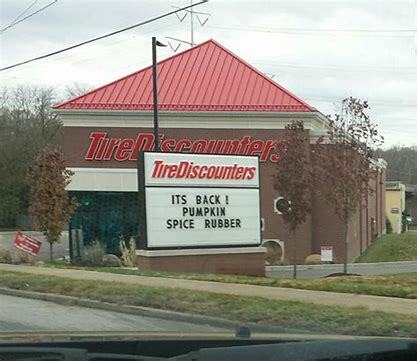 A photo snapped of a TireDiscounters location, showed the company largely advertising pumpkins spice rubber to its customers. A large billboard outside of the shop read “IT’S BACK! PUMPKIN SPICE RUBBER.” Get yourself some pumpkin spice tires, drive over to Dunkin Donuts for a pumpkin spice latte, and then you will really be running on pumpkin spice! Well folks, we have officially seen it all this fall. From food, to mechanic supplies, pumpkin spice is taking the consumer industry by storm. Whether you are taking advantage of the weird flavors and products, or veering far away, is it undoubtable that they always get a second look, and hey, that’s marketing isn’t it?